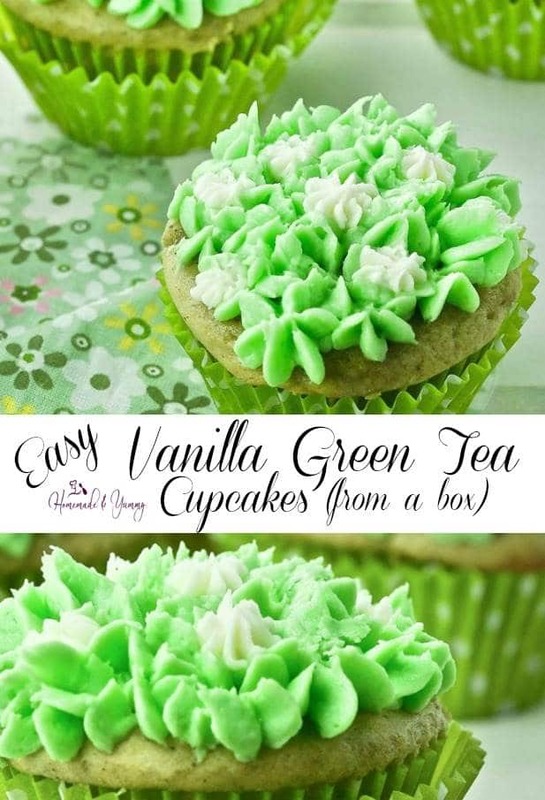 Easy Vanilla Green Tea Cupcakes From A Box | Homemade & Yummy Homemade & Yummy | Fun delicious recipes and more. Need to make dessert, but don’t have a lot of time? 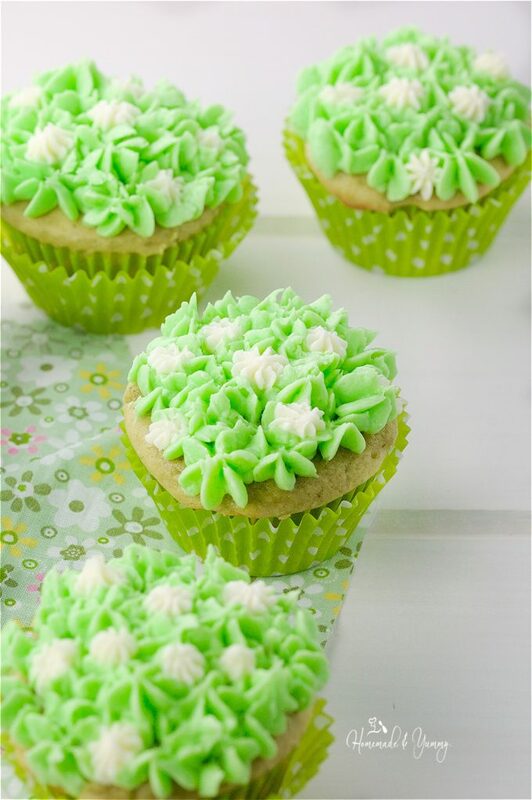 This Easy Vanilla Green Tea Cupcakes From A Box recipe is here to help. 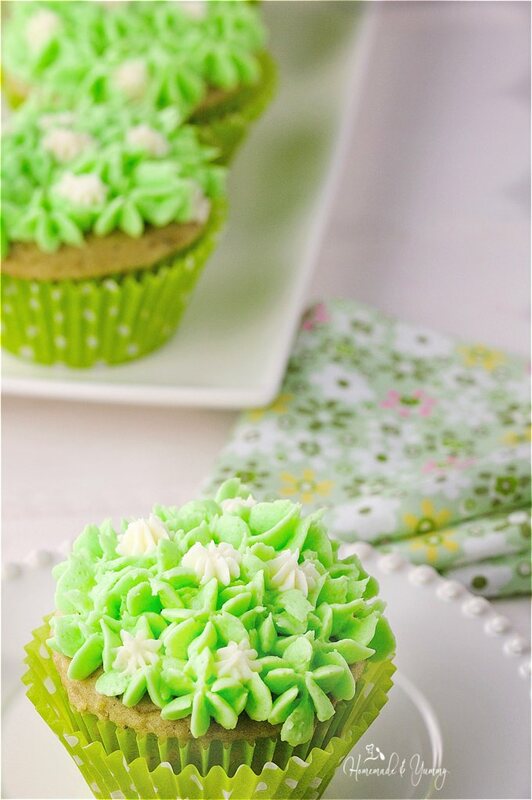 Matcha green tea powder is the secret ingredient in these pretty spring cupcakes. The mint flavoured frosting just happens to pair perfectly too. Everyone loves dessert. 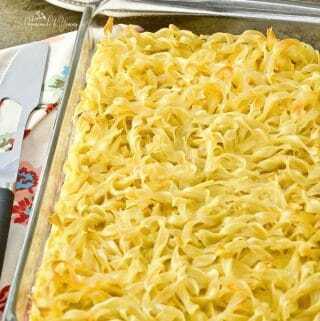 Sometimes made from scratch isn’t an option, especially if you don’t like to bake. With a few added ingredients you can transform a cake mix into this easy vanilla cupcake recipe. 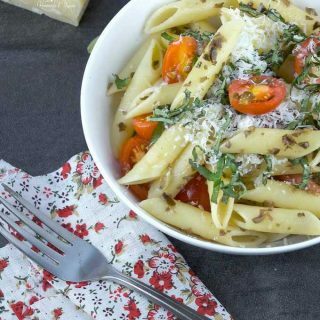 Our #FoodBlogGenius collaboration this month is all about the colour Green. I think everyone is anxiously awaiting the arrival of spring. 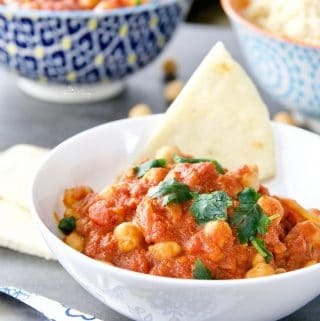 Check out the 6 Delicious Green Recipes. We will have you eating green all day long!! It has been such a mild winter here. In fact, I cannot remember one like this at all. Who goes out for a walk in February with a spring jacket on? Yes, I know all you lucky southern people can. Us Canadians (well in Ontario) never get that luxury. However, it did happen last week, and I totally enjoyed my walk in the sun. Then I enjoyed a Starbuck’s Vanilla Green Tea Latte. As I sat there trying to think of my contribution to this recipe roundup, that is when this matcha cupcake recipe popped into my head! I have a chai cupcake recipe too. Wonder where that thought came from LOL!! DO YOU LIKE TO BAKE CUPCAKES? It seems this month I have quite a few dinners to attend, and even a birthday celebration to host. Lots of baking will be happening in the kitchen. 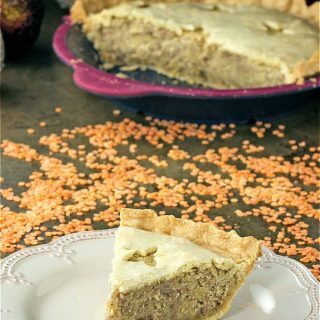 What is your favourite thing to bake? Maybe baking is not your thing? Or you like to bake, but not from scratch. Not everyone aspires to be a baker. I prefer cooking to baking. I do both, but I find cooking much more forgiving, and easy to experiment with. Baking, on the other hand, is like science in the kitchen. Precise measurements, temperatures, not often swaying from the exact ingredient list. My Speckled Toffee Cake recipe is one that requires precision in the baking department. When you don’t want to spend the time baking from scratch, almost from scratch is a great option. 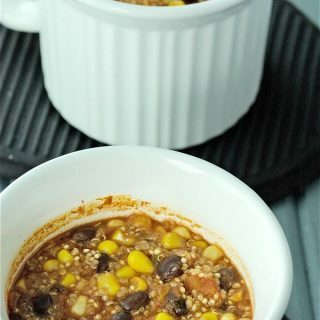 Using some bought ingredients, and adding your own twist. Easy Vanilla Green Tea Cupcakes From A Box are a perfect example of the almost from scratch baking. This works for cooking too, like my Almost Homemade Pizza recipe. Life is busy. Sometimes we need a break from the hustle and bustle. I am one for finding ways to take the load off. Don’t get me wrong, I love spending time in the kitchen, or I wouldn’t be a food blogger. I think about making food all the time. But even food bloggers need a break now and again. For me, that is when slow cooker comes out. I call it the “magician” in the kitchen. One of the most useful inventions ever. Pile stuff in, turn it on, go about my day while it magically transforms those ingredients into deliciousness. No one will ever know you didn’t bake these from scratch. These easy to make cupcakes are beautiful and delicious. The best part is that you didn’t have to play the mad scientist role to bake them. So if you have baked a boxed cake mix, YOU GOT THIS! The added green tea really takes that cake mix up a notch. Now, just make the green buttercream (with mint flavour) and pipe it on. You can frost however YOU like. Pile it on. Use some fun decorating tips. 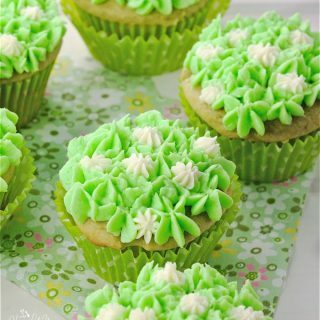 For this recipe, I used a *1M and *#32 tip to create the cute spring like flowers on top of these pretty cupcakes. Baking from scratch can be fun and rewarding. Baking from scratch can seem overwhelming to some people. 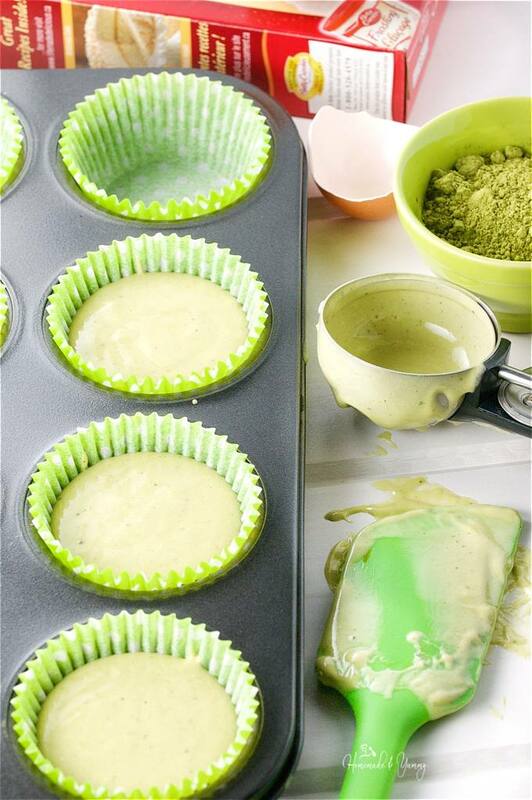 If you want to bake, but don’t want the stress, Easy Vanilla Green Tea Cupcakes From A Box is the perfect recipe. What is your favourite thing to bake? Cake, cupcakes, pie, cookies or muffins? 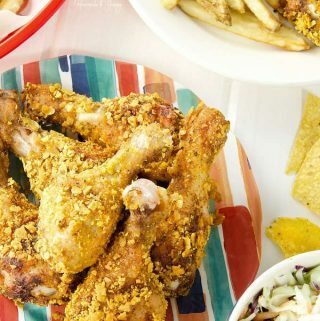 Don’t forget to check out all the GREEN recipes from the bloggers of #FoodBlogGenius. Preheat oven according to box directions. Line a muffin tin with liners. Add the matcha green tea and mix well. Fill muffin liners 2/3 full with batter. Bake according to package directions. 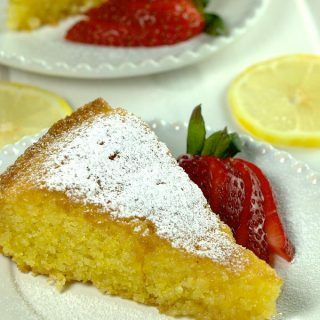 Test with cake tester. When done, remove from oven. Let cool for a few minutes, then transfer cupcakes to cooling rack. Cool completely before frosting. Using a stand mixed, cream the butter and salt until fluffy. Start adding the sifted icing sugar, about 1 cup at a time. Blend well each time. Add milk 1 tablespoon at a time until you reach your desired consistency of frosting. If you are going to make different coloured icing, divide buttercream into bowls. For this recipe I just removed some of the buttercream into a bowl, since I was using both white and green for the colours. Tint the buttercream to the desired colour. 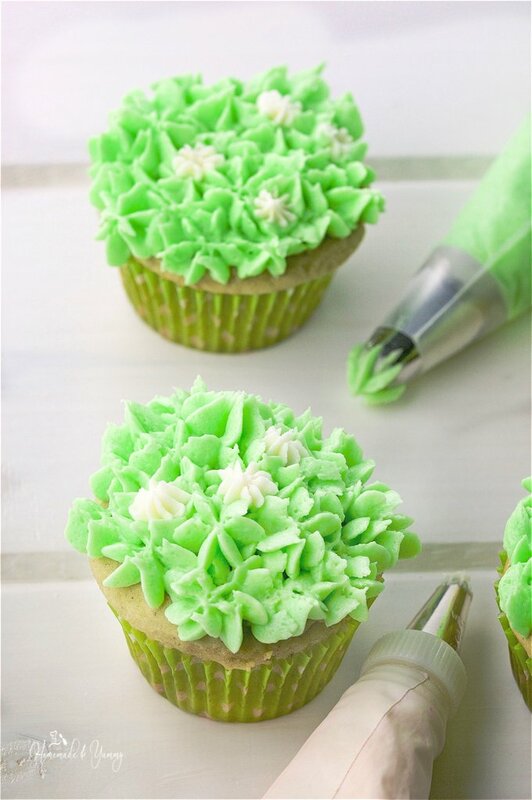 Place your desired tips onto piping bags, and fill the bags with buttercream. For more green and chocolate, check out Nutella Chocolate Chip Zucchini Muffins. Well for some reason baking can put me in a state of “stress”. 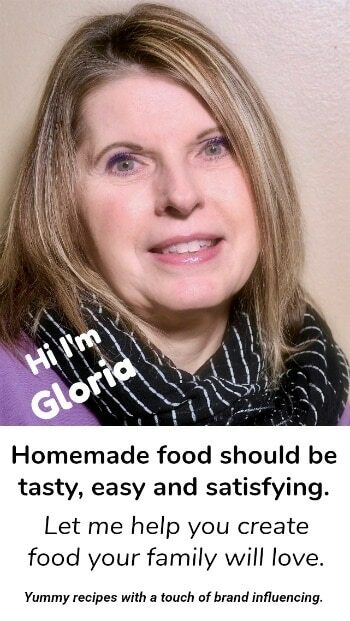 Especially if I am making a special cake or dessert…I want it to be perfect. Thank goodness I have found ways to fix imperfections…and I know the pros do too. This flavour combination looks great! Perfect for St Patricks Day. They were fun to make…and did not last long in our house. 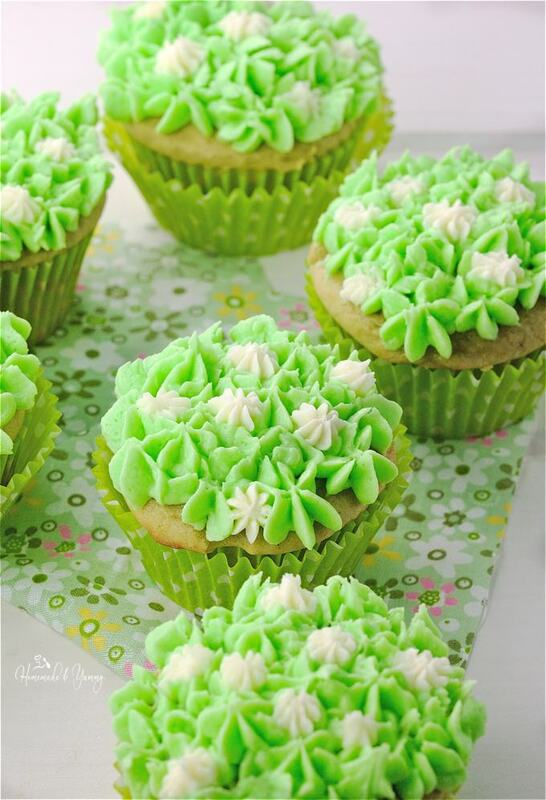 I love the combo of mint and macha powder in this cupcake recipe! Really interesting idea, and they looks beautiful! They sure did not last long in my house. 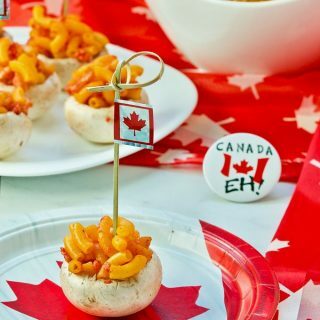 Love this flavor combo – and your decorations are adorable! Thanks….they were fun to make and did not last long here. 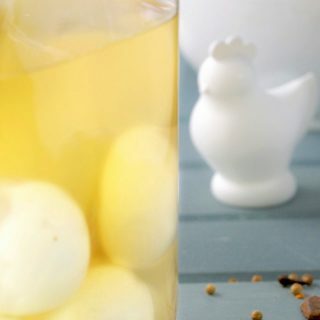 So fun for Easter and St Patricks Day! Yes they do work well for both! !